As warmer weather takes hold in the Triangle, gardeners can clearly assess their plants and consider what to purchase to fill those aggravating empty landscape spots. Before filling a nursery cart with the usual plants, consider purchasing plants that will attract pollinating insects and hummingbirds to your garden. Why should you choose plants that pollinators love? 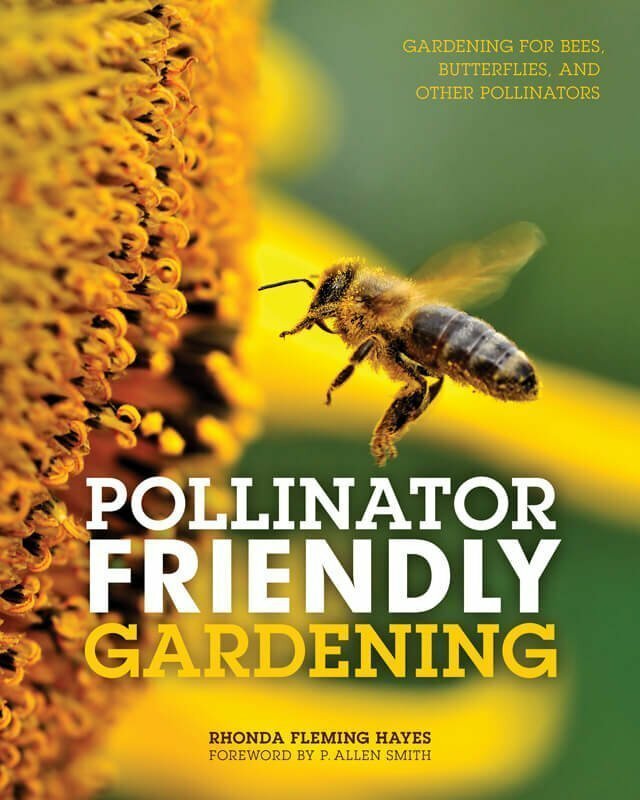 According to Pollinator Friendly Gardening (Voyager Press, 2015) by Rhonda Hayes, pollinators need our assistance to provide enough plants to sustain them and their young. The numbers of insects that make one-third of our foods possible are declining due to pesticide use, climate change and development of their natural habitats. If, like me, the insects that actually spread the pollen from plant to plant are unknown to you, Hayes’ chapters will be an interesting entomology lesson. In addition to discussing the well-known honeybee, she introduces eleven types of bees from bumblebees to cellophane bees that exist in North America. The roles of butterflies, moths, flies, wasps and beetles as pollinators are also discussed. Why certain characteristics of plants, such as size, shape, color and odor, appeal to various insects is explained. The topic of which plants should be added to a garden recognizes that “inserting native plants into your existing landscape is a good start,” but often limiting in selection. To simplify choices, lists of popular vegetation that are especially attractive for bees, butterflies, and hummingbirds are provided throughout the book. As I consider my own garden preferences for bee balm, marigolds, yarrow, Joe Pye weed, zinnias, salvias, sedum, azaleas, and herbs, I realize that I have neglected plants that serve as butterfly larval hosts. In past years, caterpillars munched undisturbed on my parsley and dill, but milkweeds actually make the best host plants. Monarch larvae eat milkweed and ingest a chemical, which makes them repugnantly bitter to predators. This foul-taste is so protective that several other kinds of butterflies have evolved to appear similar to the monarchs’ predominately orange and black wings. In addition to adding more pollinator plants, Hayes discusses other ways to attract and protect pollinators. She advocates decreasing the size of grass lawns by covering the space with blooming ground covers. Methods to provide extra food and water and to encourage nesting and over-wintering to non-migrating pollinators are also provided. As you work in your garden this season, enjoy the butterflies fluttering between the flowers. Listen to the soft buzz of insects perusing blossoms. Watch the hummingbirds as they dive at your feeder or hover over nectar-filled flowers. By incorporating pollinator friendly plants, you have helped these creatures, as the author suggests, one garden at a time.